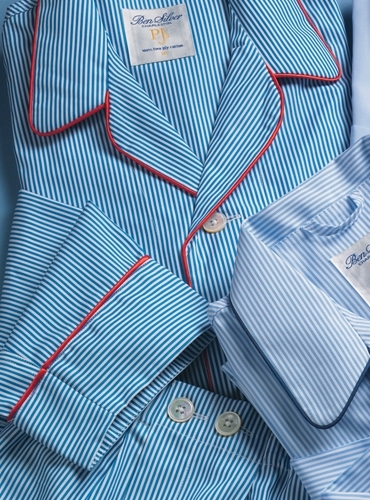 Our classic Bengal stripe pajamas are cut from the finest Italian woven 2-ply 120s cotton with a camp collar, French front, breast pocket, elastic waistband, button-fly, and convenient loop at the interior collar for hanging. 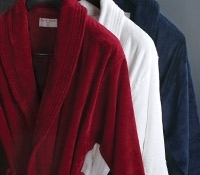 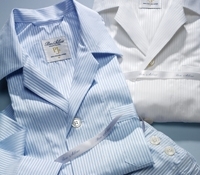 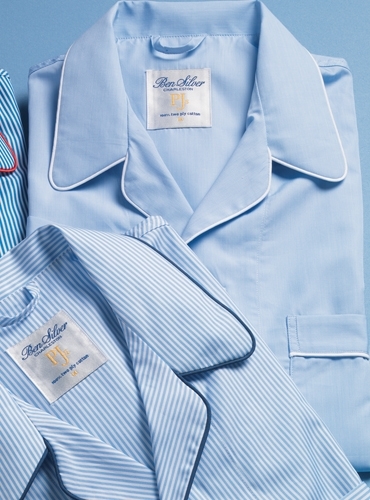 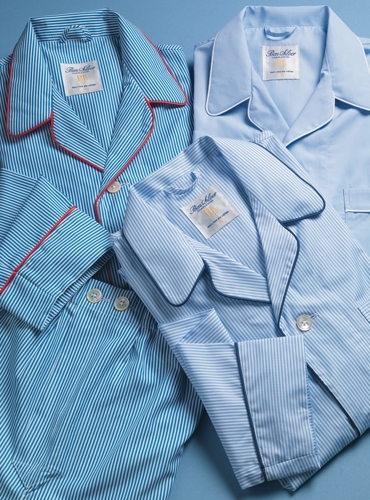 We are pleased to add a complementary solid blue pajama with white piping to our handsome assortment. 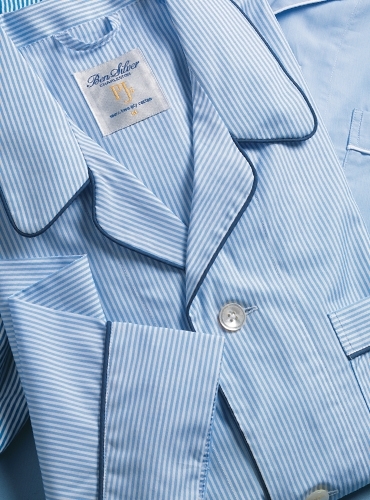 Available in sizes S–XXL. 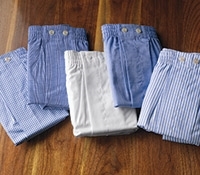 Shown clockwise, from top left: EPJJ-royal and white with red piping; GLPJ-blue with white piping; EPJP-sky and white with navy piping.